As dust settled across the sun-scorched desert road, a mysterious light appeared in the evening sky above. Moving faster than a freight train and as bright as the sun, the strange object was on collision course for Earth. Eddy, a delivery driver for the local bean cannery was on his usual travels when suddenly, and as fast as lightning, the glowing projectile struck the rear of his truck. The object sent a box of tins hurtling to the roadside before hitting the ground with a big explosion of blue goo, covering everything in sight. Different varieties of beans were torn from their tins and strewn across the goo covered road. Eddy didn’t even notice and carried onwards towards his destination, the Cunning Canning Company. 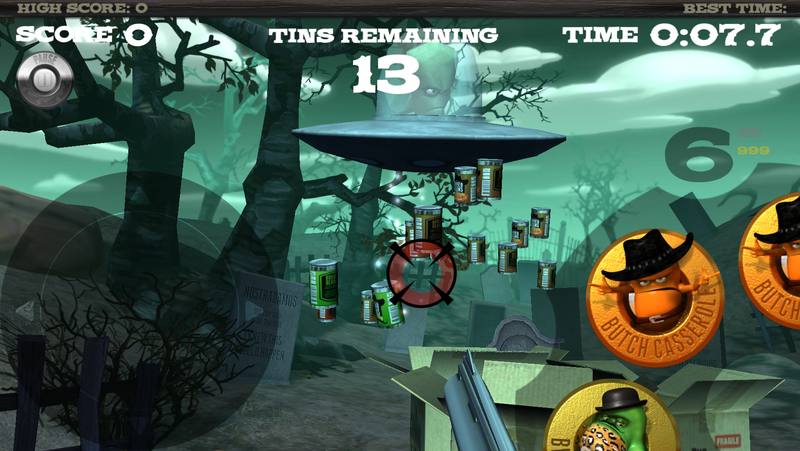 Load up your bean shooter and shoot your way through a variety of fast and furious levels, leaving no tins unopened. 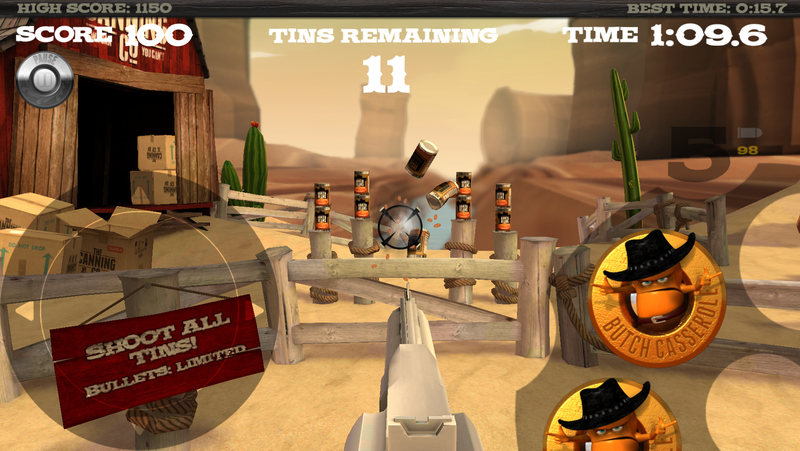 From fence posts to mine carts, shoot the tins to free the beans. Use different bean bullet characters to clear each unique level in different ways. 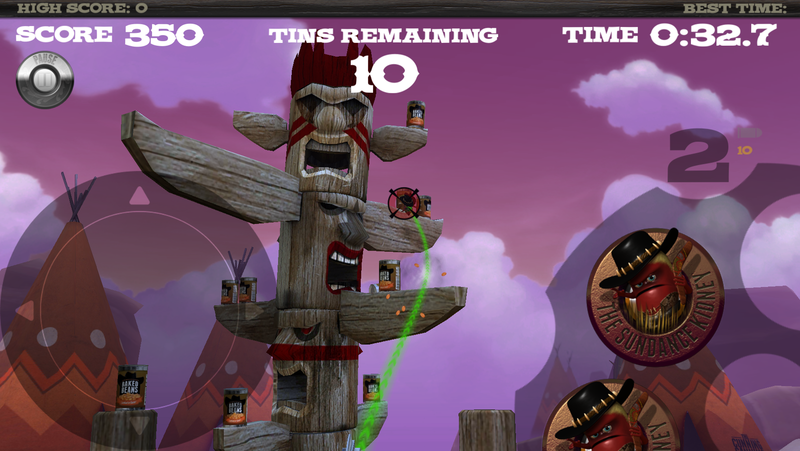 There are bean bullets that split, spin, curve, explode and more. Unlock new levels to unlock new characters. Be sure not to smash Bandit allies such as Tommy Sauce or you will fail your mission! 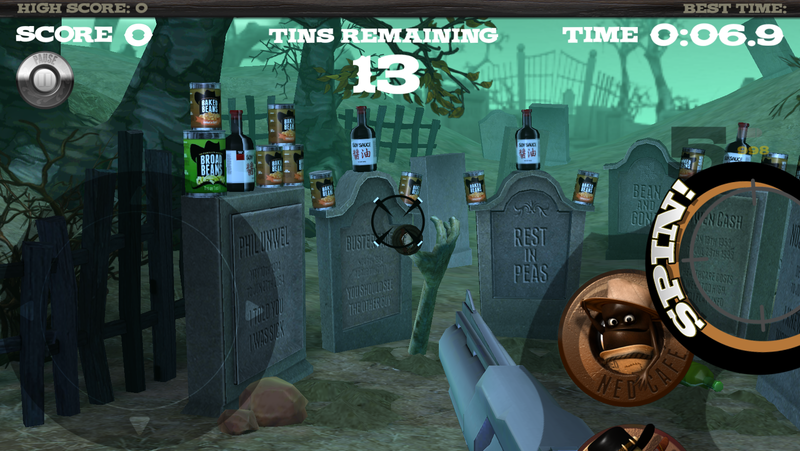 Bronze, silver and gold awards are earned for completing levels in various ways – fastest time to shoot all tins, lowest number of bean bullets used to clear all tins…and many more. It’s fast, furious, far tin, fun.